One of Google’s self-driving cars was involved in an accident causing injury for the first time since the cars began testing in California. While Google claims it made the self-driving car for safety reasons, the tech giant fails to address the danger and devastation caused by distracted drivers each year. Have your or a loved one been injured by a negligent or distracted driver(http://www.edwardslawok.com/distracted-driver-lawyers.html)? Our experienced lawyers have helped numerous injury victims receive the compensation that they deserve. While fourteen accidents have occurred in the six years the self-driving cars have been testing, this time the Google car was reportedly slowing to a stop at an intersection when it was rear-ended. 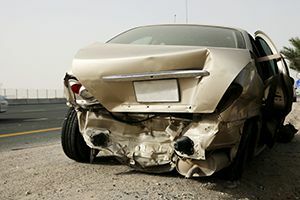 A rear-end accident is usually considered to be the fault of the driver of the car that was moving, unless it can be proven that the driver of the car that was stopped did so too suddenly so that a driver exercising ordinary caution would be unable to stop. Rear-end car accidents can cause serious injuries when distracted drivers take their eyes off the road. And while the passengers in this crash experienced only whiplash and minor injuries(http://www.edwardslawok.com/passenger-vehicle-errors-.html), critics say driverless cars are a disaster waiting to happen. What happens when a self-driving car hits a snow-covered road where there are no lane markings visible? What happens when a Google car hits black ice? What happens when one of these autonomous vehicles hits a pothole and blows a tire? While time will tell how self-driving cars will affect personal injury lawsuits, we believe negligent and distracted drivers are a huge safety risk and should be held responsible. If you or someone you know has been injured in a car accident, call our law firm today for a free case evaluation.